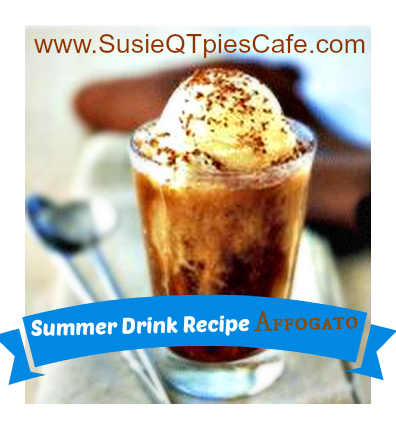 Summer is here and we are having fun with cool, refreshing summer drink recipes. What is your favorite summer drink? If you are a coffee lover, this is one drink recipe you will what to try right away! Let me know so of your favorite drinks in the comments below. One of the truly great joys of having an espresso machine in your home is the ability to make affogatos at a whim. There are few things lovelier in this world than espresso pulled over ice cream. The basic concept is pretty simple, espresso + vanilla ice cream, but there are a million ways to make it more exciting. Add chocolate ganache or caramel. Try different ice cream flavors, or even sorbets or sherbets. Add nuts or other toppings. An affogato can be the perfect dessert.